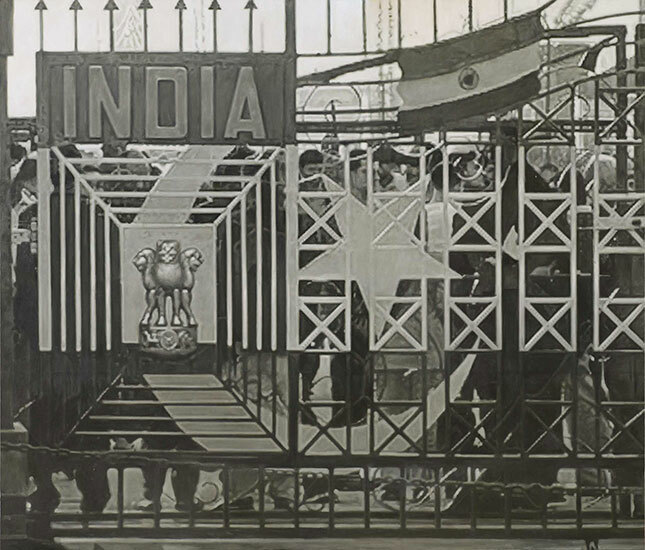 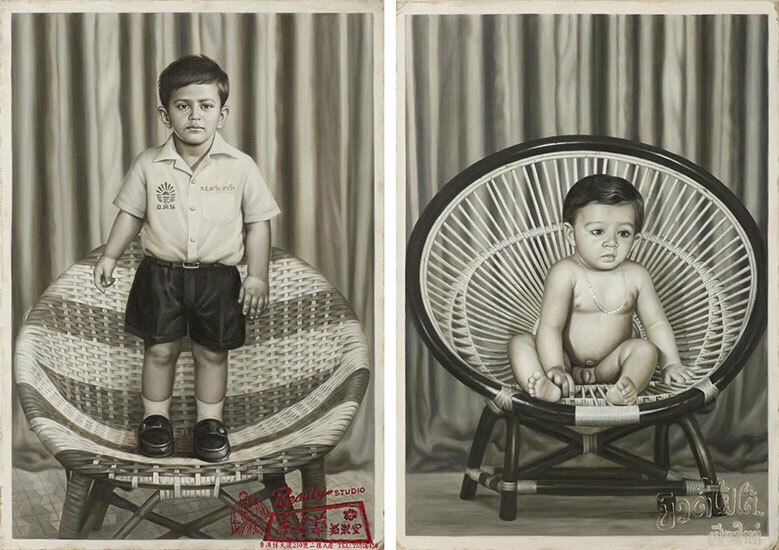 Born in 1971 in Chiang Mai, Navin Rawanchaikul is a Thai artist whose ancestral roots are from the Hindu-Punjabi communities of present day Pakistan. 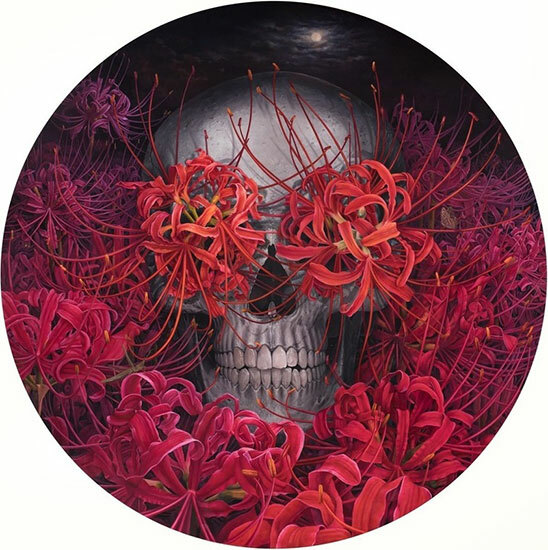 Questioning modern systems of artistic creation and presentation, Rawanchaikul has developed a unique and vast body of work that relies heavily on team spirit and collaboration, and is often produced under the banner of Navin Production, a studio he founded in 1994. 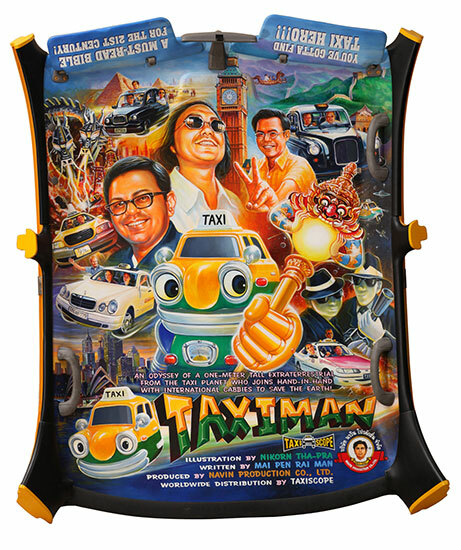 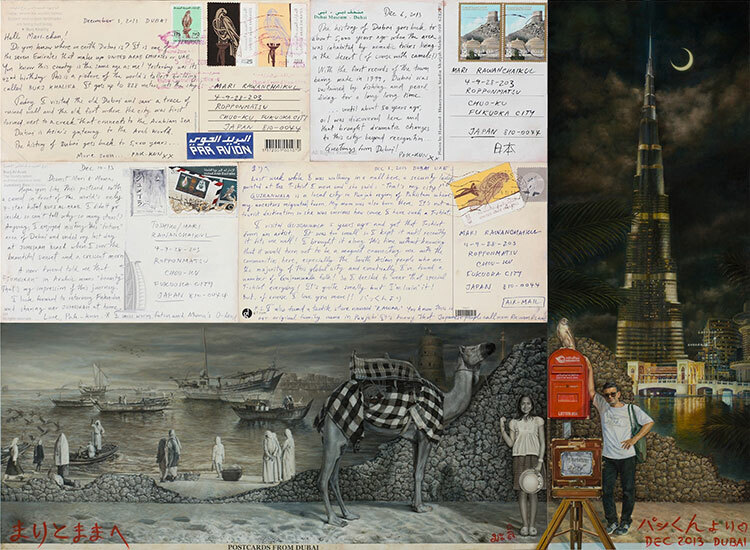 Seeking better and more visible ways to introduce art into the lives of everyday people, in 1995 he initiated his landmark project Navin Gallery Bangkok, in which an ordinary Bangkok taxicab was transformed into a mobile art gallery. 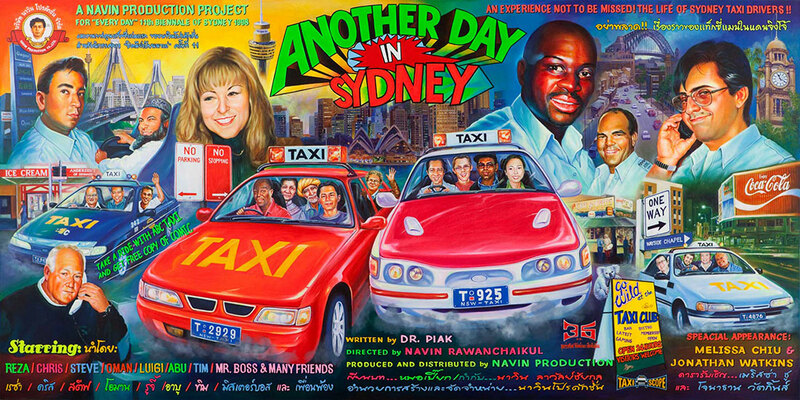 Its great success prompted several versions of the Taxi Gallery to be created around the world, including in Sydney, London, Bonn and New York. 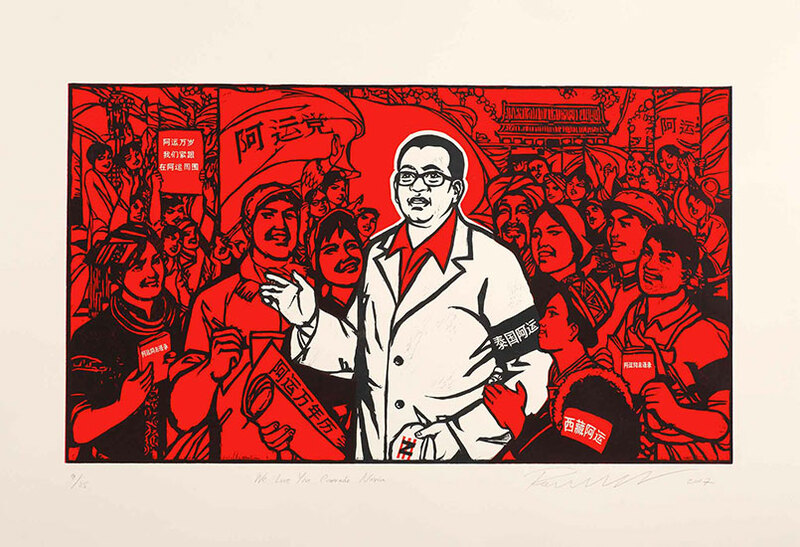 With his international profile substantially raised, Rawanchaikul began to engage in a process of exploring the ongoing negotiation between local circumstances and unavoidable globalisation. 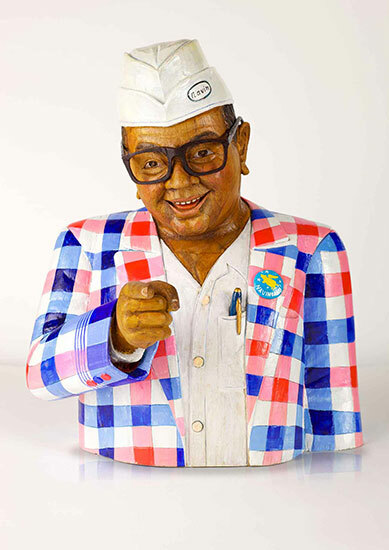 The artist is best known for dynamic art practices that involve direct public interventions, social commentary, and an innovative style of integrating community or individual experiences into eccentric fictional tales featuring recurring characters. 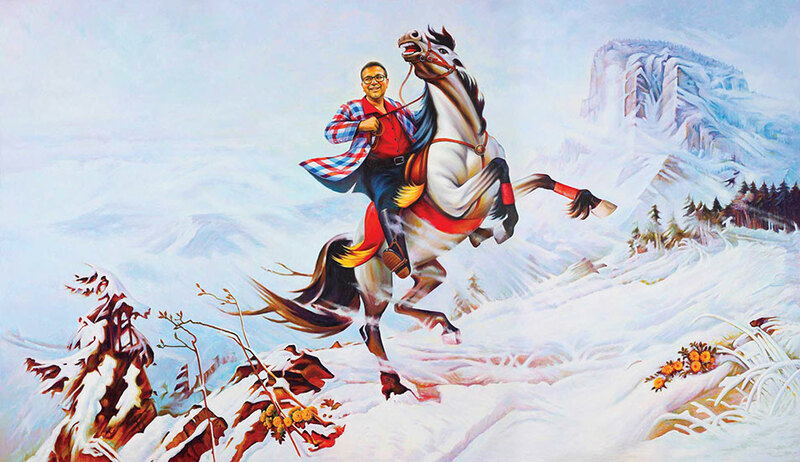 Over the years, his oeuvre has grown to encompass a broad array of media, including performances, billboards, films, comics, games, merchandise and cocktails. 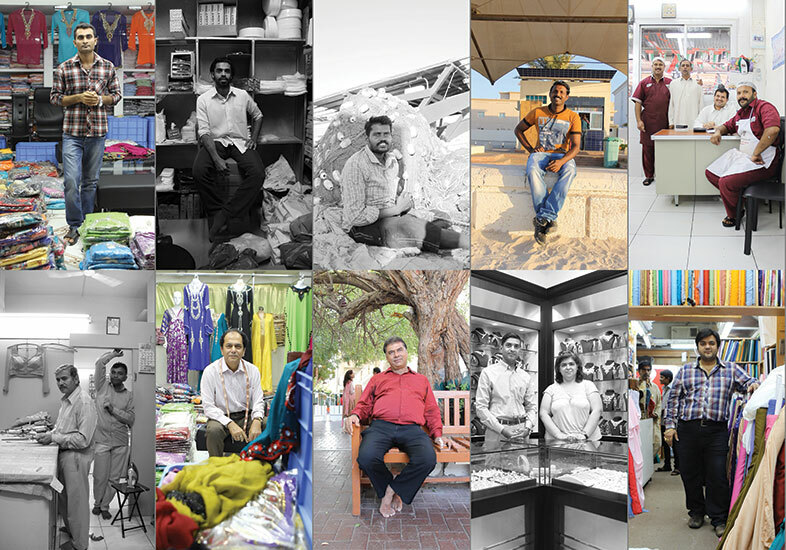 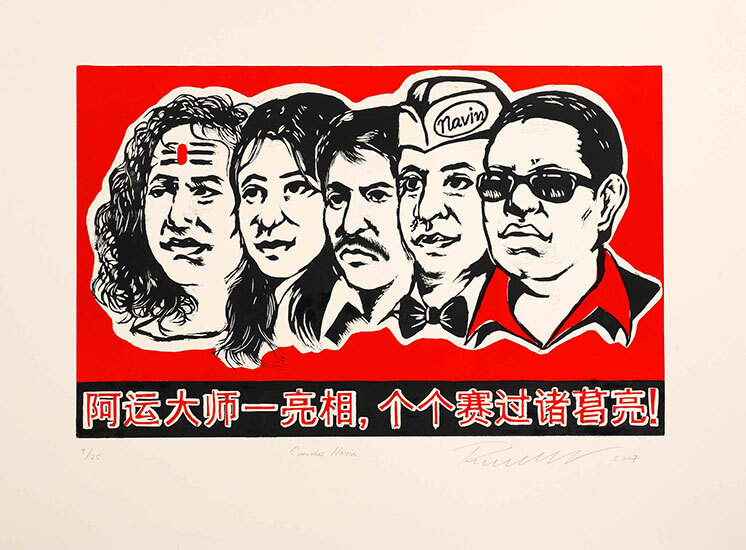 Working around themes of transitory identity, in 2006 Rawanchaikul initiated the Navin Party, an ongoing site-adjusted project that brings together the Navins of the world. 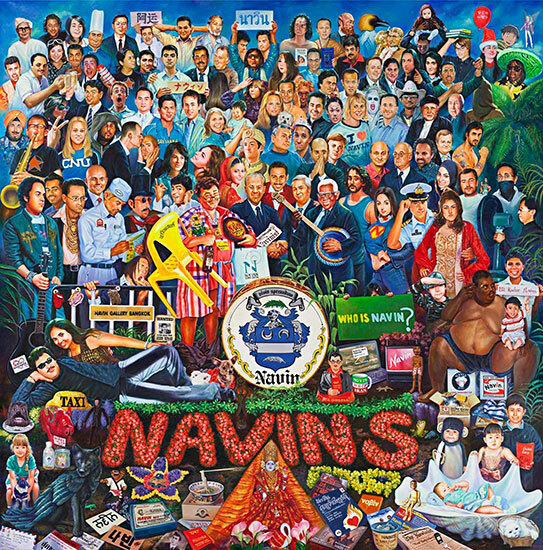 The project collaborators discovered a global network of Navins and friends of Navins, with the ultimate intention of creating the virtual state of Navinland. 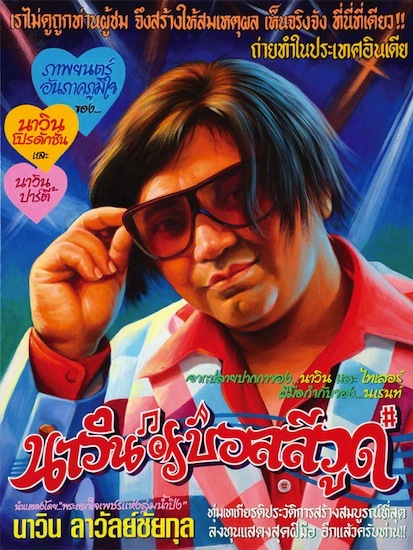 In addition to a series of community-based art projects that he has continually presented in his home country, Rawanchaikul has held solo shows at prestigious institutions including New York’s P.S.1 Contemporary Art Centre (2001), the Palais de Tokyo in Paris (2002), Jim Thompson Art Centre in Bangkok (2006) and Ullens Centre for Contemporary Art in Beijing (2009) among being included in several international art exhibitions and festivals. 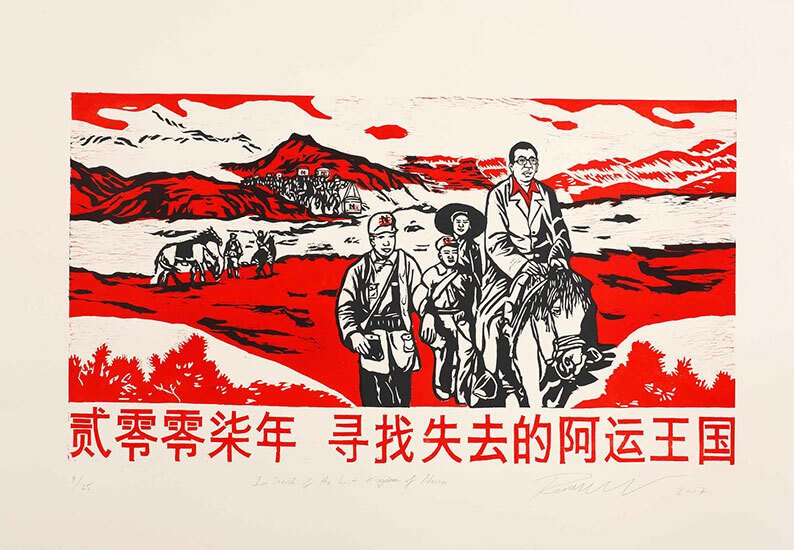 His works are housed in the collection of international art centres and museums including Guggenheim Museum, Fukuoka Asian Art Museum in Japan, National Art Gallery in Singapore, FRAC in France, Pinchuk Art Centre in Ukraine, Moderna Museet in Sweden and Inhotim in Brazil, as well as numerous private collections worldwide. 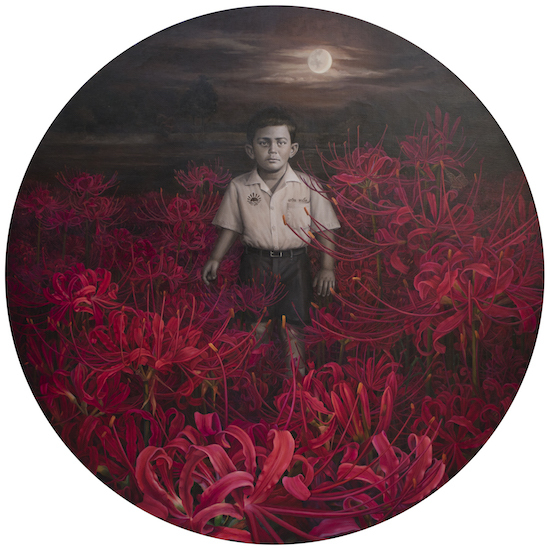 In 2010, Rawanchaikul awarded the national Silapathorn citation from the Thai Ministry of Culture in the respected field of Visual Arts. 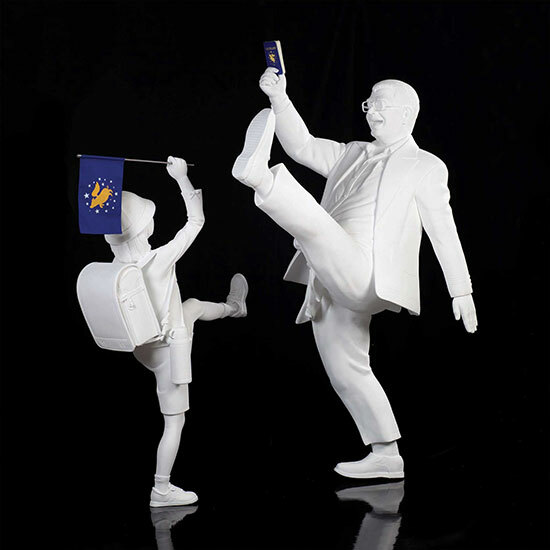 He represents Thailand for the 54th International Art Exhibition at Venice Biennale in 2011. 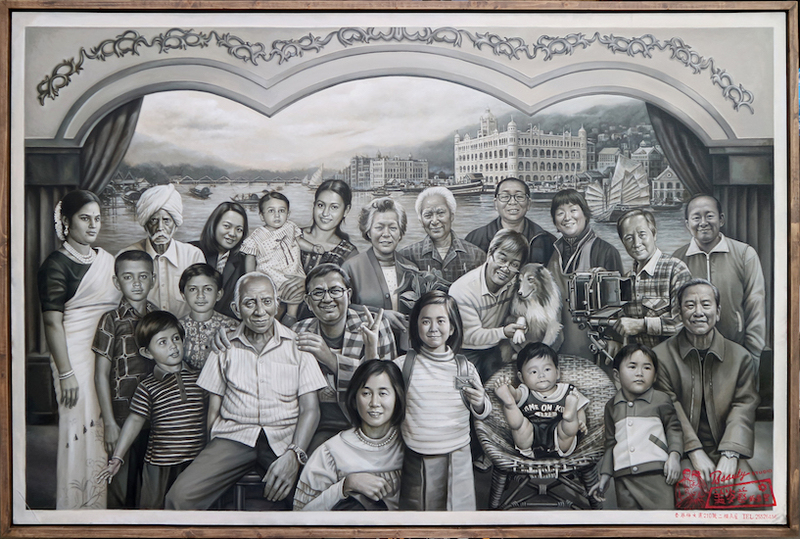 The artist divides his time between his family in Fukuoka, Japan, and his hometown of Chiang Mai where Navin Production is based.